TVs that check all the boxes can cost an arm and a leg, but today, you can grab a big, feature-laden smart set for cheap. 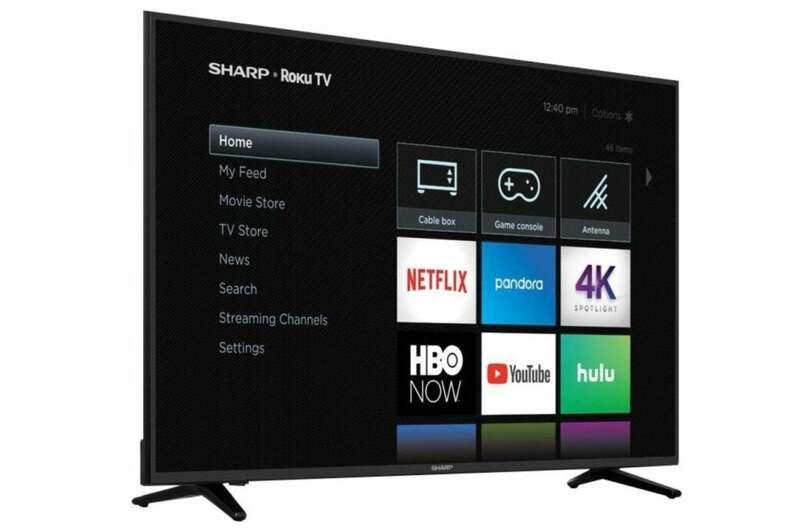 Best Buy is selling a 58-inch Sharp TV with Roku for $350Remove non-product link, down from a list price of $550. This TV is built for luscious imagery, offering a native 4K resolution and support for high-dynamic range (HDR) visuals. Beyond its viewing specs, though, Sharp’s television also features the streaming smarts of Roku built right in. With an easy-to-navigate guide and access to over 4,000 streaming "channels," Roku amps up the entertainment factor of this TV and helps you get all your favorite content in one place. While we haven't reviewed this exact model, we reviewed a similar Sharp Roku TV and gave it 3 stars out of 5, noting its picture quality and excellent Roki interface and remote as reasons to buy.